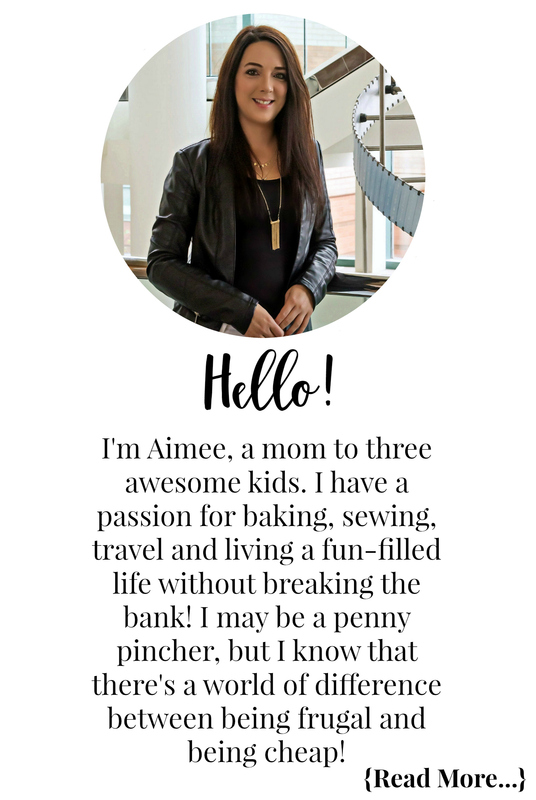 It’s no secret that I am a really busy mom. Working from home with a toddler is no easy feat. I mean, running two small businesses while raising three daughters, making sure my cat is not ripping my furniture to shreds, making sure dinner is on the table, and the slew of other daily responsibilities I have sometimes makes me wonder how in the world I do it. There have been many days I have wondered if I might break. I am blessed to have an amazing partner who really helps out around the house. He works hard six days a week. He comes home every day and helps clean the house. Somehow he manages to wrangle the kids so I can write blog posts, respond to emails, and sew up orders for Little Rebelz. There are challenges being a work at home mom, especially as Bella gets older. She isn’t easily confined or entertained as she once was. She loves to colour and do crafts. As wonderful as that sounds, as parent’s we know this probably means a mess if we are not supervising them. I vividly remember the day Abby got her hands on my permanent markers. She was 5 years old and I was busy cooking dinner. Once dinner was ready I made my way to the living room, Hailee was sitting there covered in what I can only describe as a parents worst nightmare. I looked down the hall to see Abby continuing her artistic scribbling on my walls. There was no saving the walls, they had to be repainted. Hailee’s face took days to clear it of the mess Abby had made. Thankfully, all these years later, there are some pretty amazing products out there that allow kids to be creative without the worry of having to repaint walls. 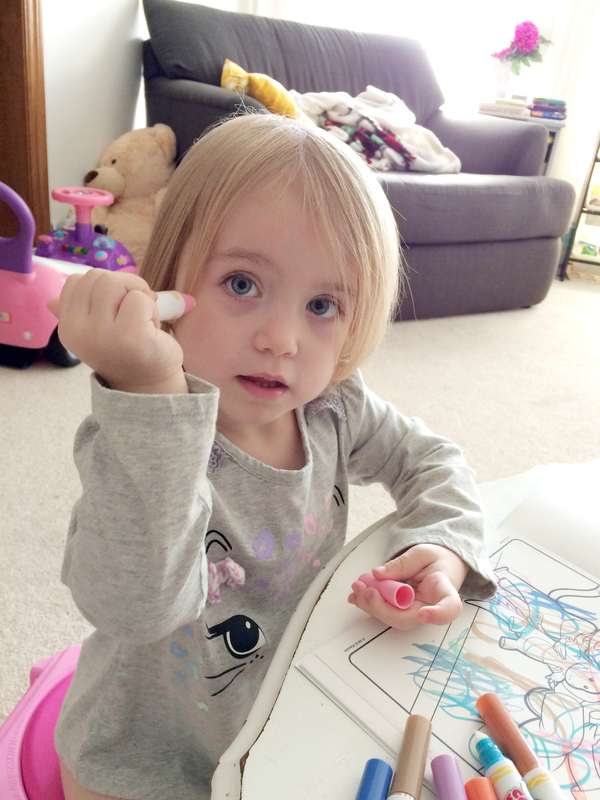 Bella received an awesome package from Crayola filled with some of their Crayola Color Wonder products. She was pretty excited to open her package and see some of her favourite characters! 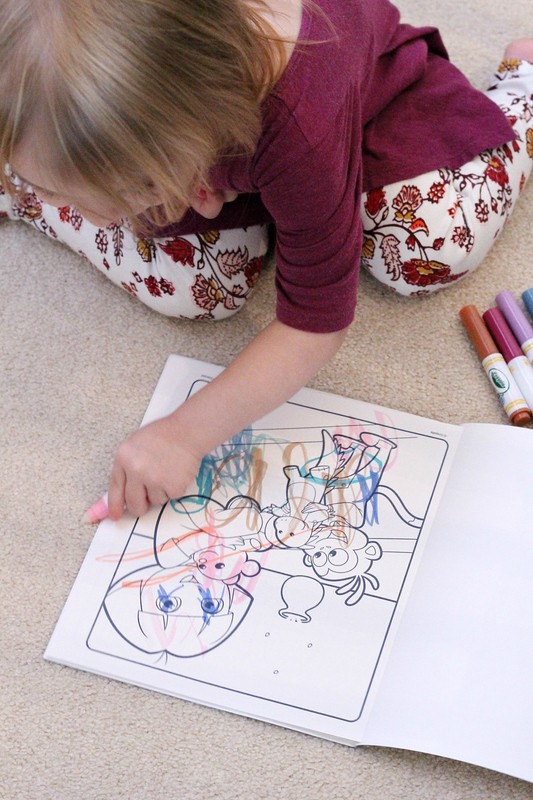 Color Wonder is a non-toxic, unique patented mess-free colouring system targeted for 3 to 5 year olds. While I do spend a lot of my day with Bella I also allow her to play independently. She has an art table in the living room as well as one in my office. When I am working I can’t always be looking at what she is doing and toys can only entertain a toddler for so long. I love that I have peace of mind giving her Crayola Color Wonder products. 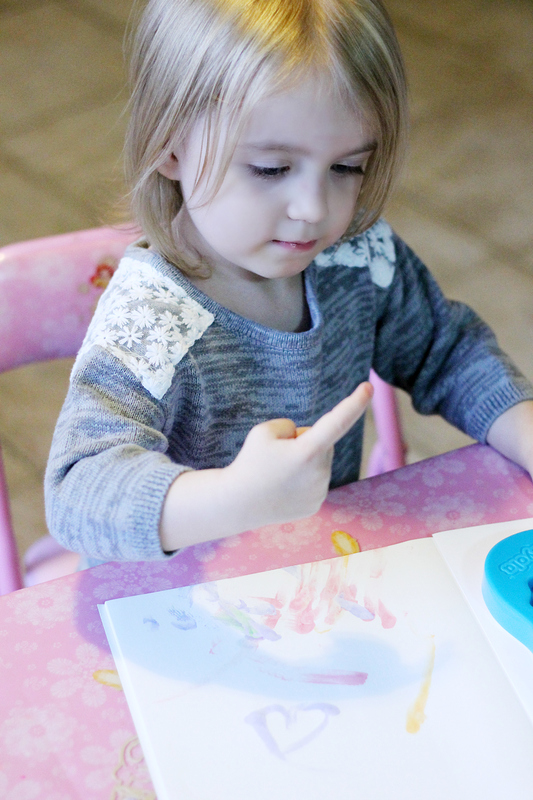 Color Wonder markers and paints only write on special Color Wonder paper. That means, Bella can try her hardest but these special markers and paints won’t colour on her skin. They’ve also been a great help during the past week of potty training. Keeping her entertained those first crucial days when I had her glued to that potty LOL! Most of all they won’t colour on my carpet, walls, furniture or fabric. It really does only paint on that magical Color Wonder paper. We travel twice each month to Hamilton from Richmond Hill to bring my older girls to their fathers. Bella used to love the ride and we wouldn’t have to do much to entertain her. Now that she is older, she grows bored of sitting in the car listening to music. This has led to many meltdowns which made the trips less than pleasant. Since using the Crayola Color Wonder products the trips have become much more enjoyable for all. She’s entertained for the trip and we don’t have to worry she is making a mess. 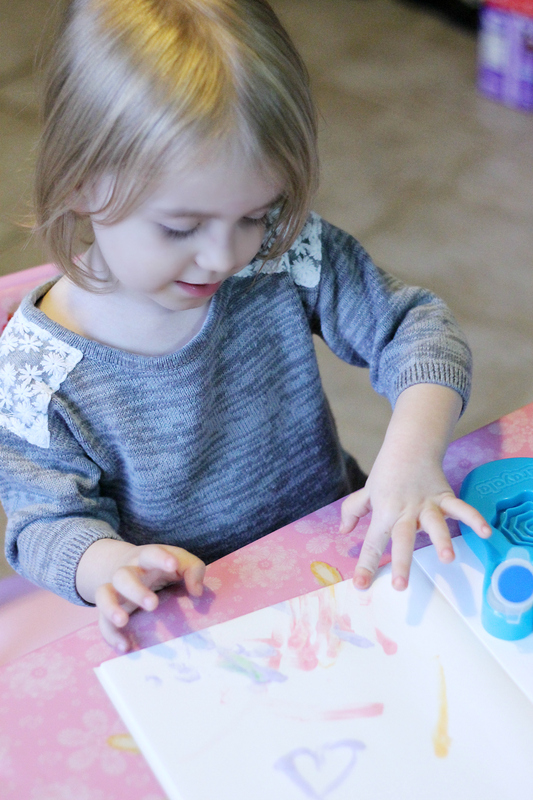 I really love that these products allow Bella to creatively play anytime and anywhere, at home or on-the-go, and I have the mess-free peace of mind. Color Wonder products can be bought at Walmart, Amazon, and many other local retailers. You can also shop online on the Crayola website. Crayola offers FREE shipping with a minimum $50.00 order. 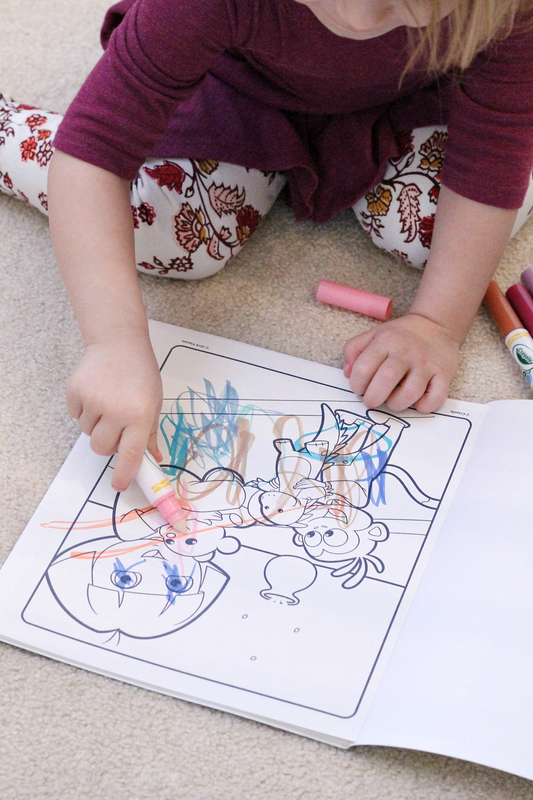 Do you use Crayola Color Wonder products at home? Which one(s) are your child’s favourite? Let me know in the comment section below! 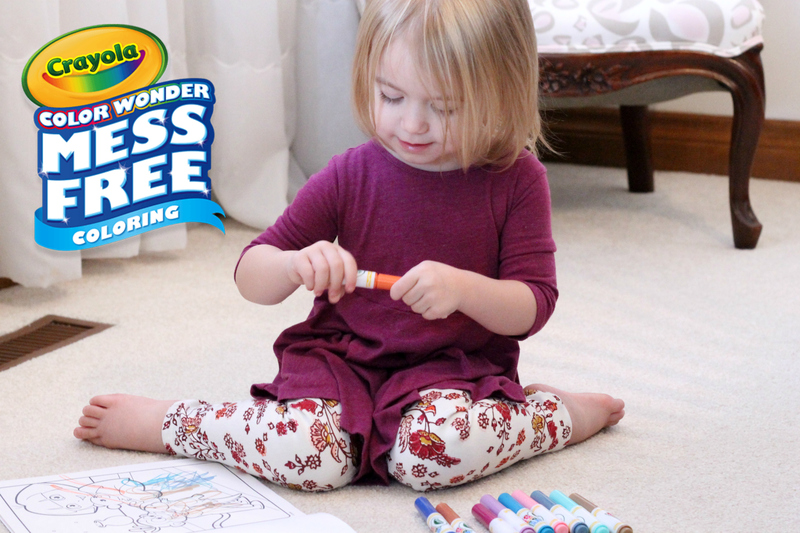 Enter for your chance to win 1 of 10 Crayola Color Wonder prize packs (valued at $80 each). Please note Quebec participants are not eligible to win. You can complete the actions of your choice to earn entries to win until 11:59pm ET Friday, December 9, 2016! Winners will be selected at random and contacted via email. Full rules and regs of the contest on the widget below. Stay up-to-date with all things Crayola by following them on Facebook, Twitter, Instagram, and Pinterest. 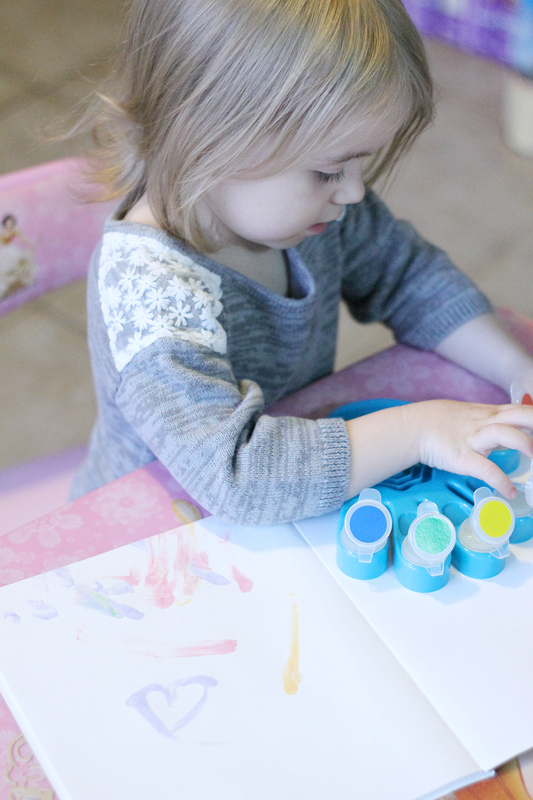 Disclosure: This post is part of the YummyMummyClub.ca and Crayola and the #ColorWonderMessFree sponsored program. I received compensation as a thank you for my participation. This post reflects my personal opinion about the information provided by the sponsors. « Project Mc² – Smart Is The New Cool! These are so great and easy to clean up. I totally could use these. I’ve grown accustome to allowing my older girls to have pencil crayons and crayons in their room & little man has drawn all over their rooms! I need this!!! I can’t let my boys colour as every time I let them it’s everywhere. love Crayola, best product out there! My niece and nephews would love this as they really enjoy coloring, and so would their parents. I would love to add these to my Grandson’s activity table, which I am giving to him for Christmas. I also vividly remember when my oldest son decided to be creative with permanent markers! Crayola has sure come a long way! We love everything Crayola. Currently my 4 yr old is into Crayola finger painting. Yes I have used the crayola wonder markers. They are great for around the house. I made the mistake of giving real markers and what a mess. I really need that for my kids .since we travel alot by car . This would be amazing to win! I have 5 and under! Thanks for the chance to win! I love all the color wonder products but have never tried paints. My daughter would love this.